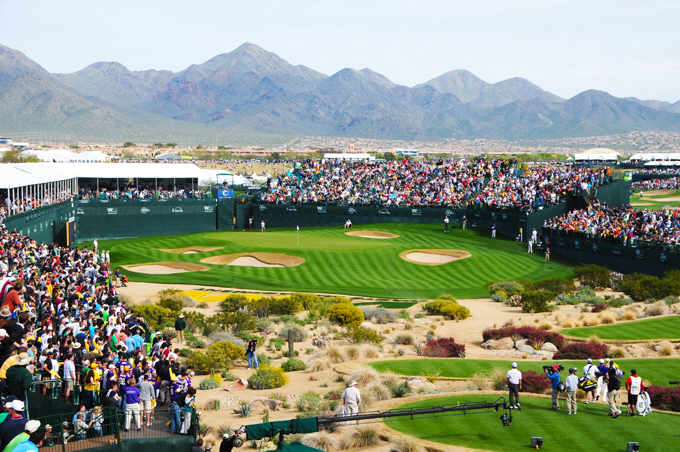 Designed by Tom Weiskopf and Jay Morrish and set in the rugged Sonoran Desert surrounded by the stunning McDowell Mountains, the world famous Stadium Course plays host once again to the Waste Management Phoenix Open, made famous by the 20,000 fans that surround the par 3 16th, where golf meets football and WWF. Some of the professionals competing in this week’s tournament will bring gifts to try and appease the crowd that surround this hole. A tee shot that misses the green or a putt that is left short is greeted by a crescendo of boos, it’s not a hole for the faint hearted. The 15th, 16th, 17th and 18th are what make this an exciting tournament course. The 17th is a drivable par 4, “Short par 4s are hard to do correctly,” Weiskopf said. “If you are going to lay up, I want the players to have the pressure of a tough chip and putt”. So remember while watching this tournament your money isn’t safe until your player has holed out on the 18th. Phil Mickelson 14/1 had a runners-up finish in Abu Dhabi two weeks ago but had to pull out of last week’s Farmers Insurance Open due to a back problem, how much that will affect him here this week I am not sure. One thing is for sure you can’t discount him from winning here if the defending champion does tee it up this week, Phil has two wins here and a runners-up to his name and if his back holds up look for him to be in the final pairings come Sunday. A player we’ve tipped a few times this year is Webb Simpson 18/1 and the lad from North Carolina hasn’t let us down yet with a win and two other Top 5 finishes. In fact Webb has only been outside the Top 25 once in his last twelve PGA Tour events with five of those being Top 10 finishes. Another player who had an early season win was Ryan Moore 28/1 at the CIMB Classic and he has had three other Top 10 finishes from five starts this term and currently sits in sixth place on the FedEx Cup table. Ryan may not have won here yet but he has had a couple of Top 10 finishes with last year’s Top 5 being his best finish here so far. 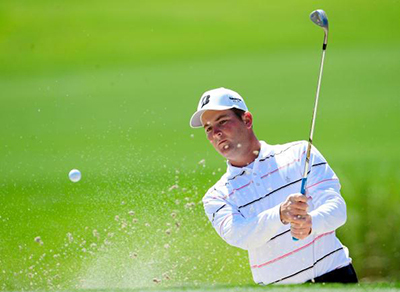 Ryan Palmer 33/1 is another player who has just come into form over the last two weeks, with two Top 10 finishes and after a weeks rest he comes to a course where he had a Top 5 finish last year. Ryan has three PGA Tour wins to his name, the last being the Sony Open in 2010. He had six Top 25 finishes last year and I think the Texan is on a little streak of good form and could be worth an each-way bet here this week. It has been an up and down start for Matt Every 33/1 this season with two Top 10 finishes from five starts and he is another player who took a rest last week so I expect him to come back fresh and having worked on a couple of things. 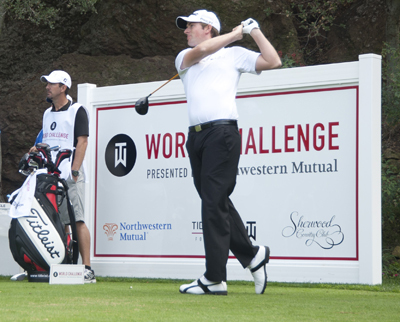 Not that there was much to work on after his final round 66 at the Humana Challenge which moved him up into the Top 15. He also opened with a 65 that week, so there is not too much wrong with his game so look for him to be in the thick of it come Sunday. It looks like the bookmakers can’t make up their mind on twice champion of this event JB Holmes 66/1 – 100/1. As you can see that is a big gap between some bookies thinking. What I am thinking is that these are great odds for someone who has not only won here twice, but comes into this week after his first outing in a year where he made the Top 25 at last week’s Farmers Insurance Open. Now if that knocked off the cobwebs I am sure his adrenalin must be up this week coming back to a track he has fond memories of.